By using Six Month Smiles, teeth can reach their ideal position within four to nine months instead of a year or two. With such a short treatment time, this innovative plan is ideal for those who have a special event coming up, or who simply don't want to endure a lengthy process. 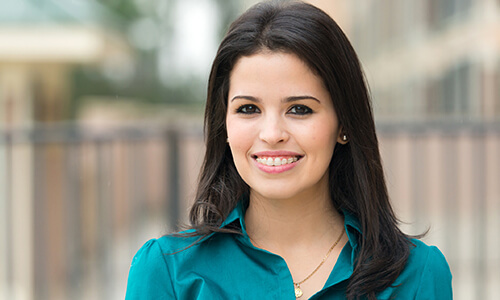 Different from Invisalign, which uses removable aligner trays to straighten teeth, Six Month Smiles combines orthodontic techniques that have been proven effective with modern materials and forward thinking. This option is similar to traditional braces, but made with clear brackets and wires that are comfortable and highly effective, not limiting movement like other options may do. These brackets and wires are barely visible, and produce predictable results. A number of benefits come from Six Month Smiles' advanced approach. Our patients may find this treatment very convenient, comfortable, and quite affordable. The method is suitable for many patients who struggle with the appearance of their smile. Cosmetic in nature, Six Month Smiles is designed for the correction of mild to moderate misalignment in those teeth that are visible in the smile. It is by limiting treatment to only these teeth that the time is shortened. However, because the bite is not addressed, Six Month Smiles is most effective for those who do not have issues such as an overbite or underbite. Through a thoughtful evaluation with Dr. Angie, you can determine the best way to attain your most beautiful smile. Call us today to get started. The concept of straightening a patient's smile is often met with resistance. In the past, the only way of improving the alignment of a patient's dental arch was with the use of traditional orthodontics. 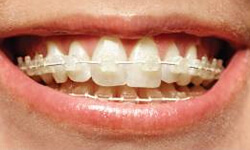 These metal bracket and wire braces are often associated with adolescents. Adults who want to improve their smile shy away from such treatment due to the appearance that they give their smile. Instead, patients can now enjoy Six Month Smiles, which is a new way for Tulsa patients to make a dramatic change in their appearance without unsightly orthodontics. Six Month Smiles is a revolutionary alternative to conventional braces. Braces often hide the patient's smile throughout treatment. Instead, Six Month Smiles helps showcase a patient's teeth while undergoing treatment. Six Month Smiles uses brackets and wires; however, they are clear or tooth-colored, and are not nearly as distracting as metal. They are just as effective in shifting teeth into proper positions. Six Month Smiles is also different from traditional orthodontics since it focuses on the teeth near the front of the mouth. Only the visible teeth are realigned. Six Month Smiles is perfect for patients who visit Glisten Dental in Tulsa with mild to moderate misalignment of their front teeth. Patients who have more severe cases of misalignment or who need to realign their bite may need to meet with an orthodontist for specific treatment. They may still require the assistance of traditional braces. Six Month Smiles are considerably faster than traditional braces or other treatments such as Invisalign aligner trays. Most patients are able to straighten their teeth between their biannual dental visits with just a few routine check-ups during that time. Visits allow Dr. Nauman to track the progress of the smile and to examine the teeth to ensure everything is moving as expected. Patients young and old who want to improve their smiles, are encouraged to visit Glisten Dental in Tulsa and see Dr. Nauman for an initial consultation appointment to discuss the possibilities of realigning the teeth and improving the smile for a lifetime!